"Oy! Whit’s fur ye’ll no go by ye! We’re a’ Jock Tamson’s bairns, Haud yer wheesht. Gie it laldy. Can you understand any of that? Because we certainly can't. Scottish is a language all its own and it shows. 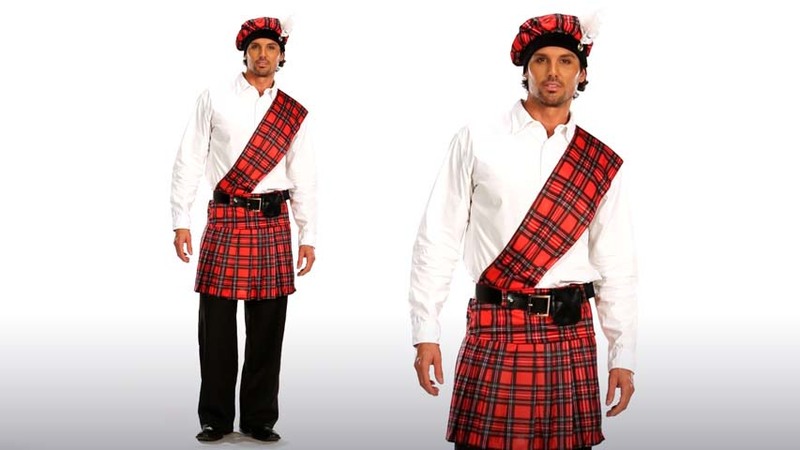 If you can make heads or tails of whatever they're saying, you might be ready to wear this Scottish kilt and look like a true Scotsman. Maybe you've seen Braveheart enough times that you've memorized every speech. Or maybe you're giving in to your great love of plaid. 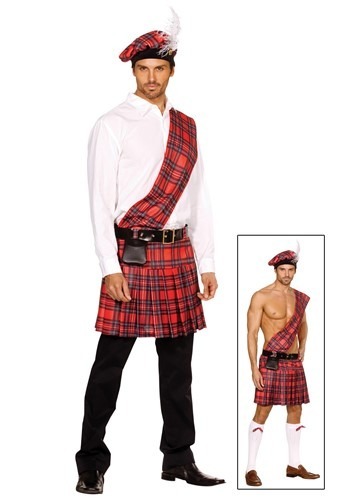 Whatever the reason, this kilt will make you feel like a real man who's wearing something that resembles a skirt. While it might feel a bit cold underneath (underwear is optional although traditionally not worn, probably so it's easier to moon people whenever you feel like it), people will be too busy admiring your fashion sense that soon you won't even notice the breeze. Of course, if you're going to start wearing a kilt, you've got to get yourself a set of bagpipes. Kilts are for people who are at the very beginning of their journey into Scottish culture. Bagpipes are for the pros. You show up to an event wearing a kilt and playing the Bagpipes and you're basically treated as royalty. It hardly even matters if you know how to play the bagpipes, because is anyone even going to know that you don't? And if they do, you can always say that you need to tune it once you get home. We don't even know if bagpipes need tuning, but it sounds good, right? Put that kilt on and make like the Lord of the Dance, because you're a Scotsman now, laddie!